Scientists have found that creating art for 45 minutes reduces the levels of the stress hormone cortisol. Imagine what several days can do! We invite you to practice self-love by staying at the ranch, immersing yourself in art and relaxing. Make space in your schedule just for you and join in one of these Ghost Ranch opportunities. Join Michelle Chrisman and paint in studio and plein air in the areas where O’Keeffe painted. Learn more. 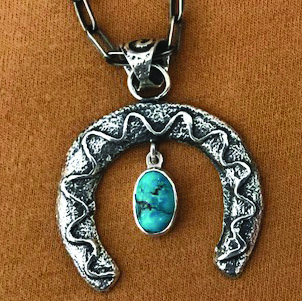 Join Master Hopi Artist, Steve Wikviya LaRance, to learn Tufa casting, a multi-step process that involves carving sandstone-like Tufa stone into a mold, and casting silver to create rings, pendants and earrings. Learn more. 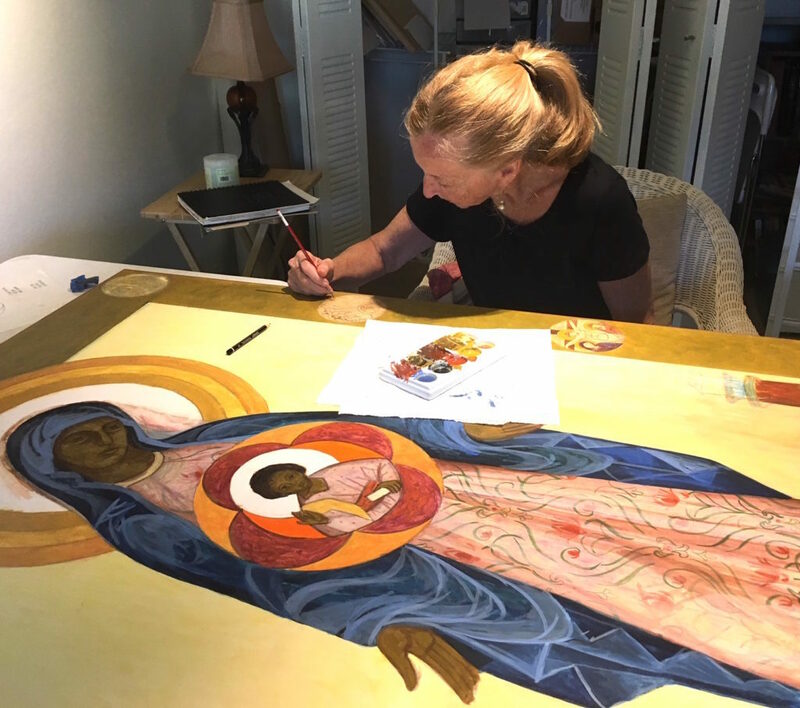 Learn the ancient art of Byzantine Icon ‘writing’ using classical painting methods of transfer drawing, egg tempera laying, and gold leaf guilding. Learn more. Learn basic skills for working with flat stained glass like cutting, grinding, copper foil and solder. 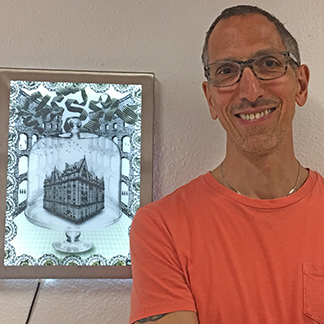 This class will also discuss stained glass design relating to plants, birds and animals of New Mexico. Learn more. 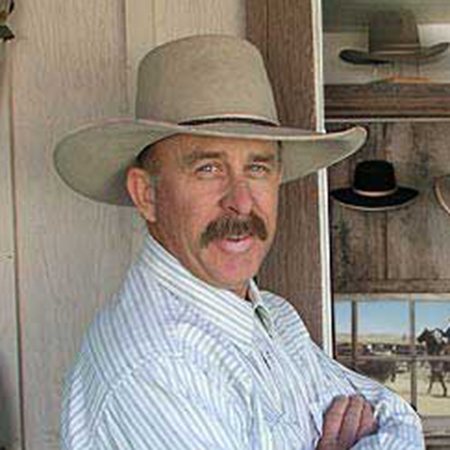 Learn vintage cowboy hat making techniques from one of the most notable and established hatters in Hollywood. You will design and create your own heirloom quality felt hat. Learn more. O’Keeffe was once a beginner herself. Join us for this workshop based on O’Keeffe’s dictum to “fill a space in a beautiful way.” Choose your medium: pastels, paint, collage. Instructor Anna Koster served as Miss O’Keeffe’s companion in 1976. Learn more.